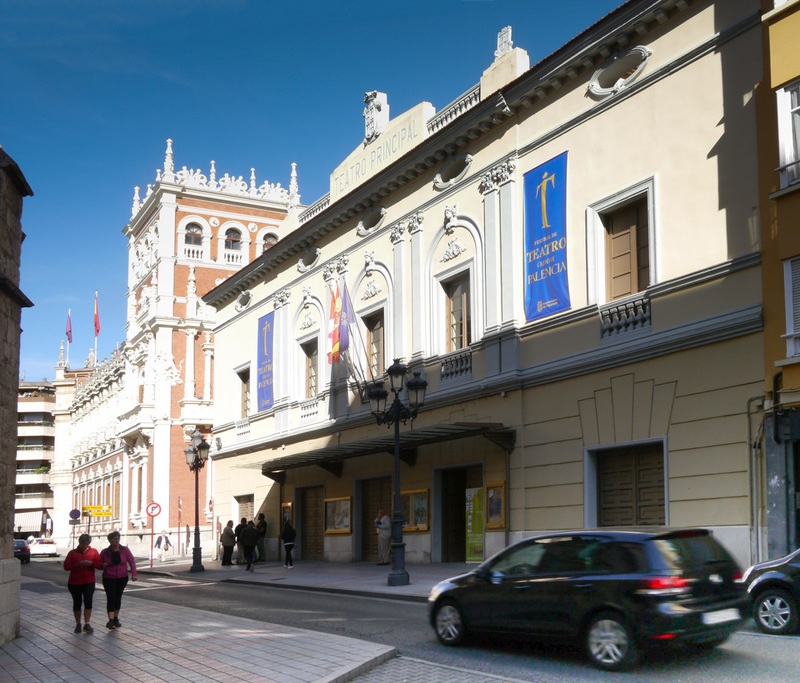 The Teatro Principal, with the ornate Diputación de Palencia building to its left. 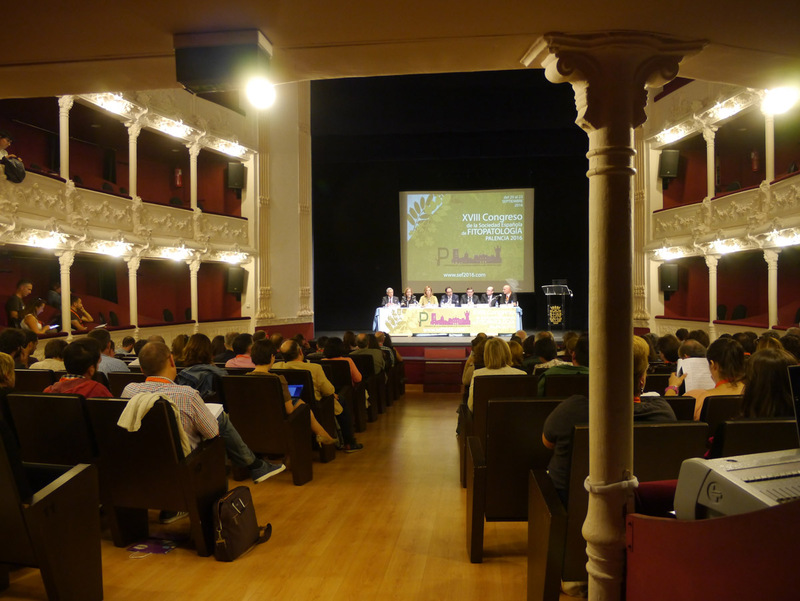 The Congress opened at Palencia’s Teatro Principal, an elegant building downtown, with speeches and welcoming remarks by representatives of various levels of government and of course, organizer Julio Casero from the University of Valladolid, who is the current President of SEF. Welcoming ceremony at SEF 2016. 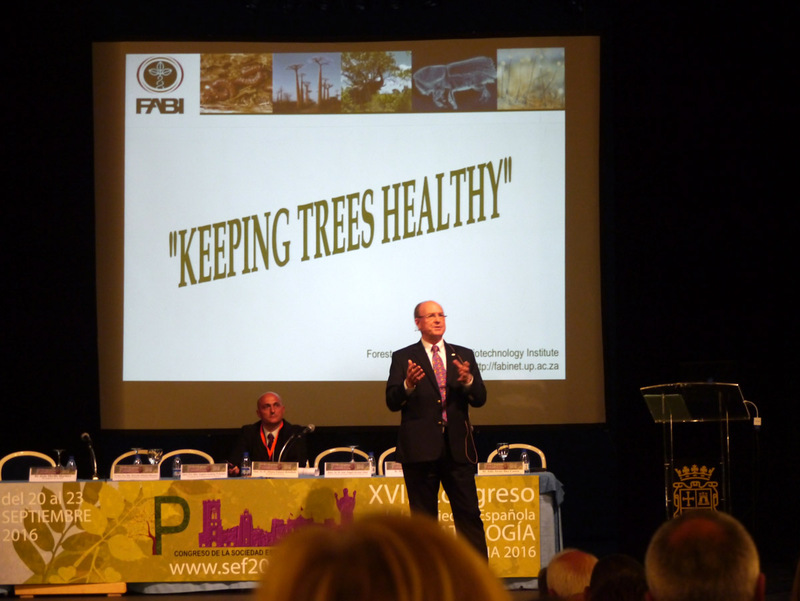 Mike Wingfield gave the main keynote presentation, “Fungal Tree Diseases – Can We Rise Above the Gathering Storm?” As well as being Director of the Forestry and Agricultural Biotechnology Institute, at the University of Pretoria (FABI), he is the President of the International Union of Forest Research Organizations (IUFRO); he gave the keynote speech at the first IUFRO conference we attended with Claire’s art (see the Montesclaros entries from 2011 in this blog) and he was as riveting in this talk as he was back then. One of his messages was that we achieve better results when we collaborate. We really appreciate his wide range of interests and his support for interdisciplinary activities. Mike Wingfield speaks to the 2016 SEF Congress. The interior of the beautiful Teatro Principal as seen from an upper balcony. Most of the presentations were in Spanish, and some were extremely complex, so it was challenging for us to understand at times. 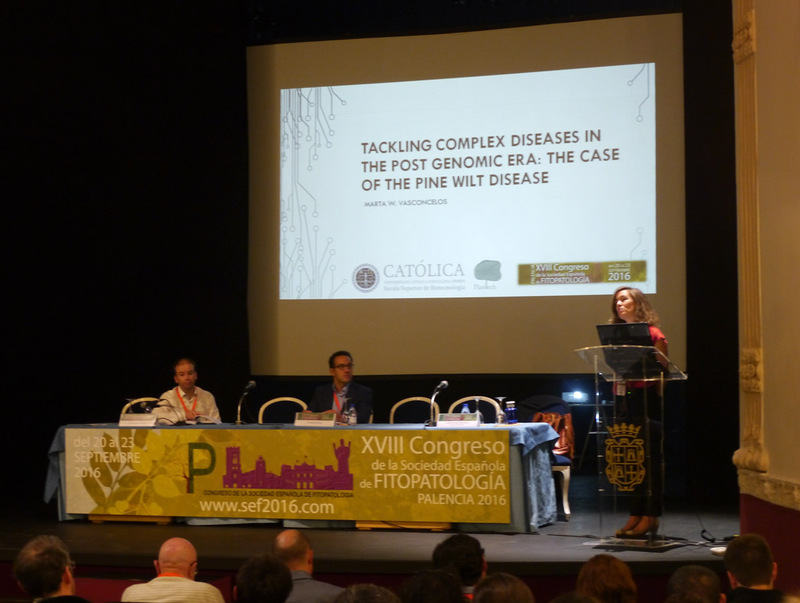 However, the scientists shared an incredible range of fascinating information and investigations, such as Marta Vasconcelos’ study from the Universidade Católica Portuguesa that revealed more and more layers of insight the deeper they looked with newer and newer genetic tools that progressively cost less each year. Marta Vasconcelos gives a detailed presentation on Pine Wilt disease. Another that stood out was a 90 minute talk on “Viroids: a journey from plant pathology to the origins of life” by Ricardo Flores of Valencia’s Institute of Molecular Biology and Cell Biology. His animated, passionate and detailed talk evoked sustained applause at the end. 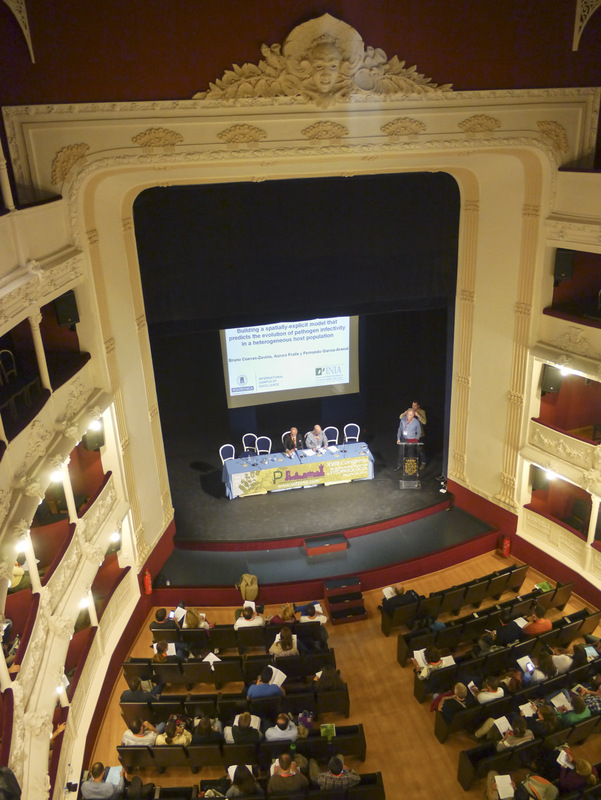 The program of oral presentations can be downloaded here. A PDF of the book of abstracts presented at SEF 2016 and the posters can be downloaded here.